I haven't had much chance to get back to the biweekly card show about 20 miles from my house. 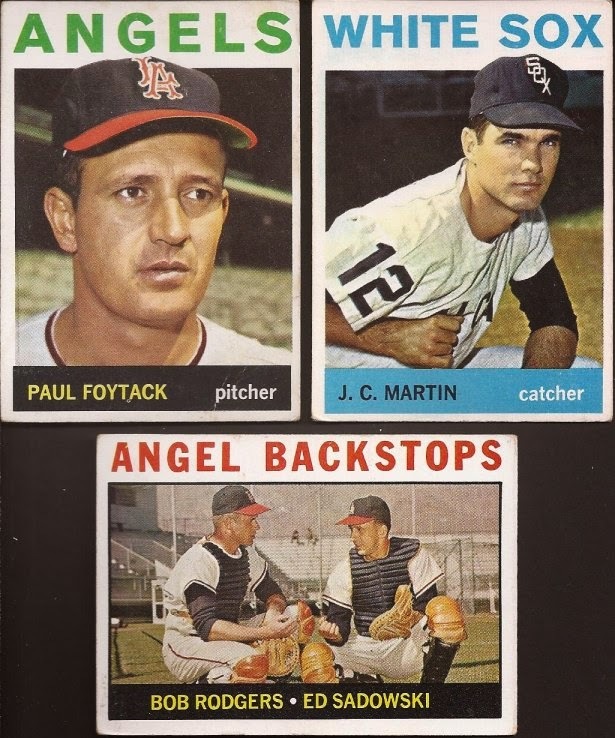 I have been using a dealer at the show to help me build my 1964 Topps set. I can usually pick up a couple dozen cards at 3 for a buck, and then a few at fifty cents each. Without attending, my attempt to build has slowed to a figurative halt. I watch some lots on Ebay, but if I don't have cash for the card show, I won't be shopping online. Luckily, I have received a few additions to my collection from a couple bloggers. Robert at $30 a Week Habit sent me a few cards. Robert had a few A&Gs available. 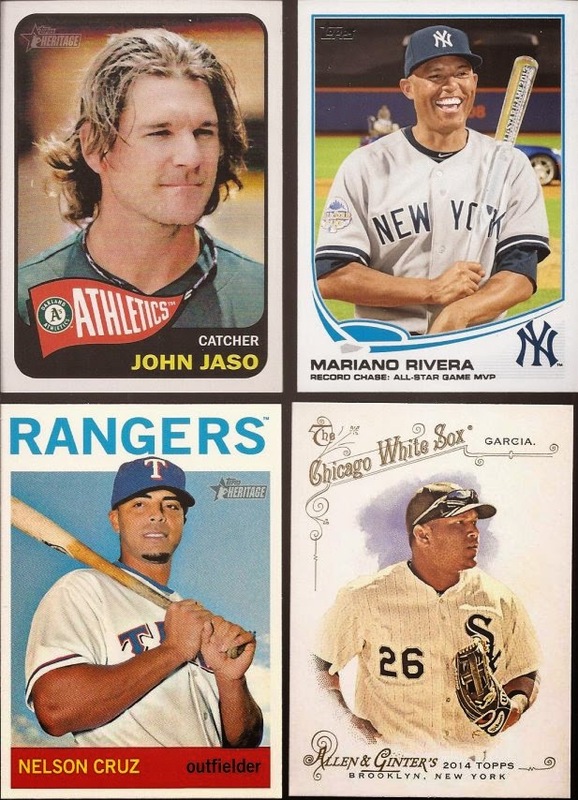 I had pulled a black bordered Reyes out of 2014 Topps and it needs to be in the hands of a Blue Jay collector. There were a few set fillers in there. Deadliest Predators is going to be a tough set to complete, so any chance to score the one per box mini is a chance to jump on. Robert tossed a few White Sox in there. Any refractor is a welcome addition to the collection. As is any Buehrle. 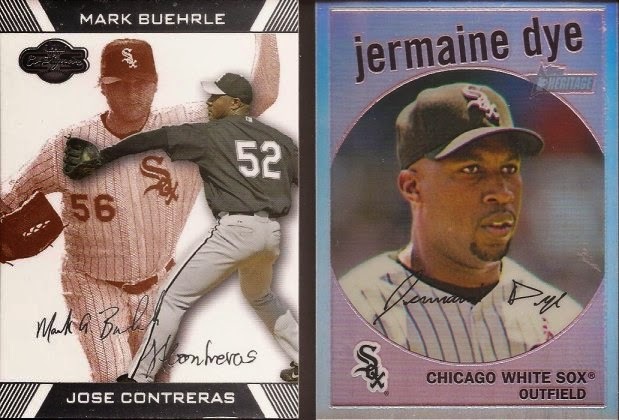 I should start a Buehrle collection. Maybe after I get closer to an complete date on Crede, Iguchi and/or Rowand. Here's the three 1964s Robert sent. Far nicer condition than I would pick up, so I love how they look. Thanks a bunch, Robert. The other '64 came courtesy of Mark from Remember The Astrodome. Yes - the actually rare Astro collector. Many moons ago, I ripped a box of America's Pastime I won from the Panini blog. While I got only a couple cards for my collection, I had many inquiries about other items I pulled. Mark asked about the booklet and another relic. It took some time, but we finally hammered out something that I believe we are both pleased with. Here's a representation of the set needs Mark found. 2013 Update should be done soon, along with 2014 A&G. Base of 2013 Heritage is now complete - just have the SPs to go, along with the inserts. This year's Heritage is going slow. Some ChiSox were in the package. 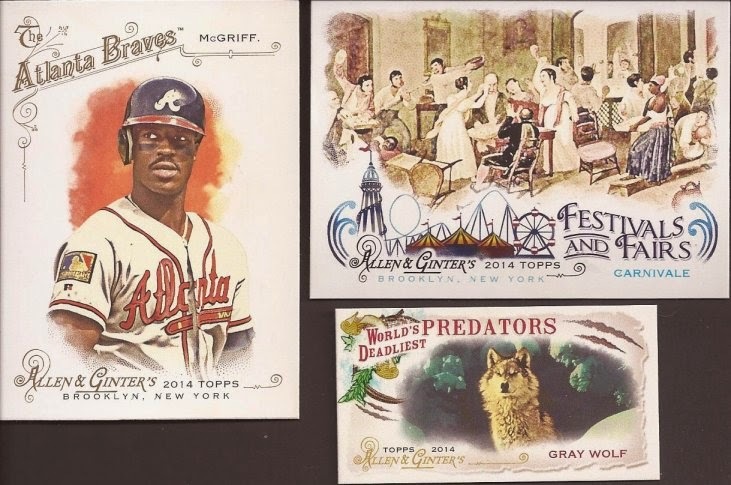 Here's three needs from the group that fit into my Crede collection. It's always weird to see him without the proper pants. Here's the highlight of the package. Yeah buddy!!!! Another watch list item to delete from my Ebay account. 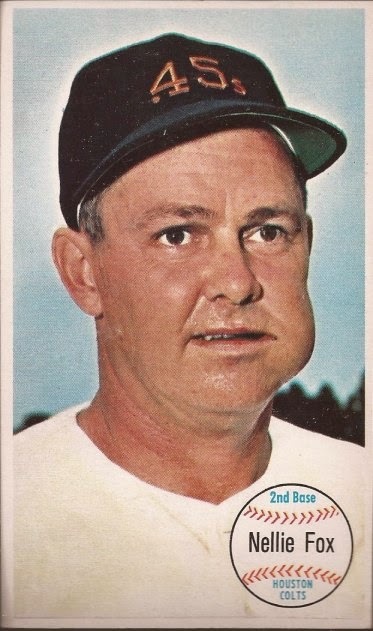 I don't plan on completing the oversized cards in the 1964 set, but I have been known to change my mind. Great trade, Mark. Thanks again. So if you have any 1964s, I'll give them a good home. 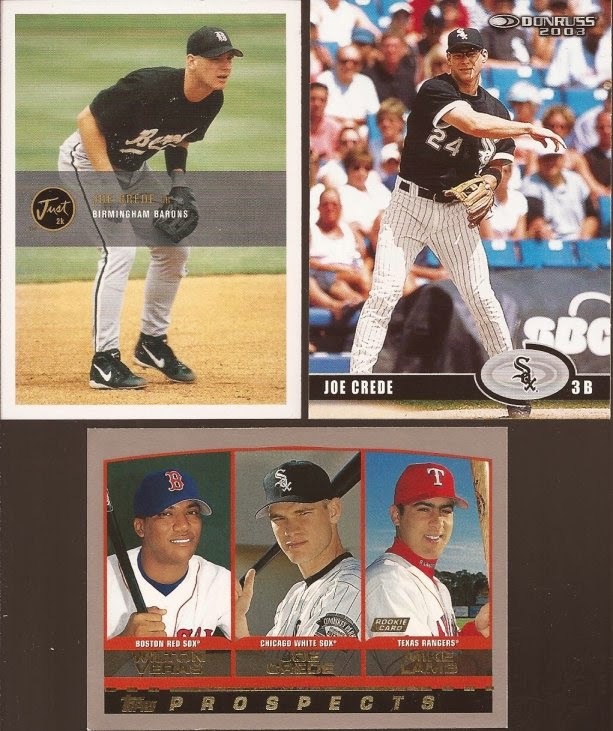 Or Joe Crede cards. Or Mark Buehrle. Or Allen and Ginter. Or Heritage. Basically, I want what you don't. That is one massive piece of chaw Fox is chewing there. Almost made me miss the awesome Colt .45s cap. That Nellie Fox is a sweet card. I'm guessing someone challenged him that he wasn't brave enough to put the whole pack of chaw in for the picture. He wins! Those are some great cards...and any time Arctic Monkeys is on a blog is a good time. The backstops card is one pretty thing!